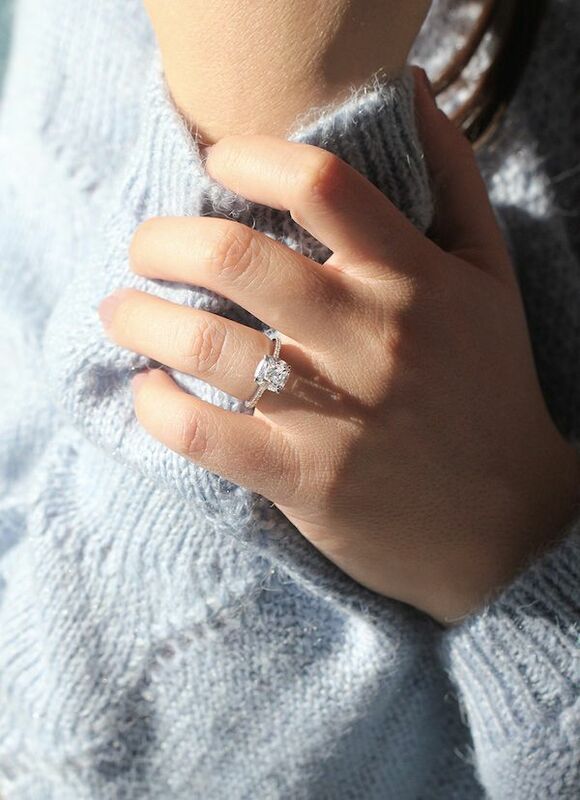 Unfortunately, we've learned that much of the diamond jewelry we know and love is actually unethical, even when we're told by jewelers that the diamonds used are “conflict-free.” Luckily for those of us who love a little sparkle, MiaDonna creates gorgeous lab-created diamond jewelry that you can feel good about buying! In creating their totally conflict-free lab-grown diamonds, this diamond company has met the highest environmental standards, consistently winning awards for their green efforts. And MiaDonna even has a foundation called The Greener Diamond, which allows the brand to give back to the communities and individuals torn apart by the harmful mining industry! Another thing we love about MiaDonna? 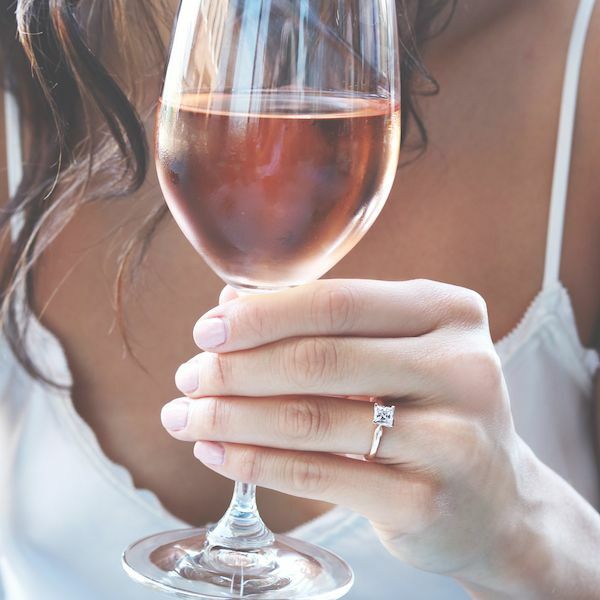 They make it so that you don’t have to choose between an ethical and a fashionable engagement ring. You can have both! Trust us, no matter what style of bride you are, MiaDonna has a ring you're sure to fall in love with! This ethical engagement ring has a sleek and modern design that’s perfect for a bride who’s always up-to-date. We love the Tazzia’s tapered baguette diamonds on either side of a stunning lab-created princess cut diamond! The Amore’s delicate milgrain-accented band with channel bead set natural recycled diamonds is a antique-loving bride’s dream. 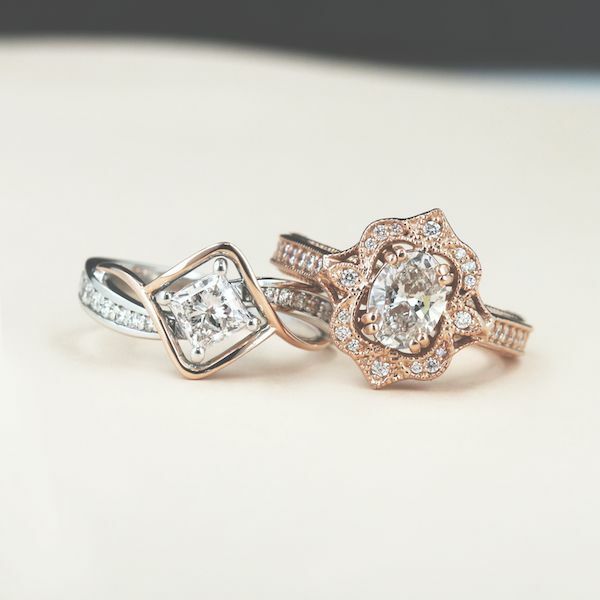 MiaDonna’s custom design team will bring your dream ring to real life. Plus, their simple 3-step custom design process makes the creative process easy! 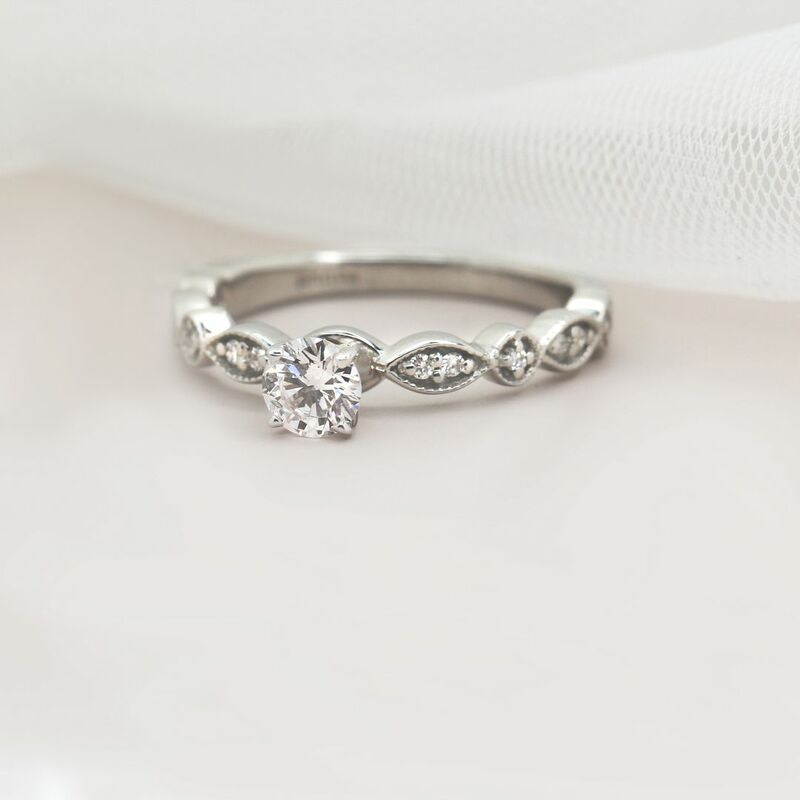 A bride who likes to change things up should have an engagement ring that can, too. The Idyllic’s flat sides allow it to stack with any straight wedding band without overwhelming your ring finger. It’s gorgeous on its own, too! Love a statement ring? 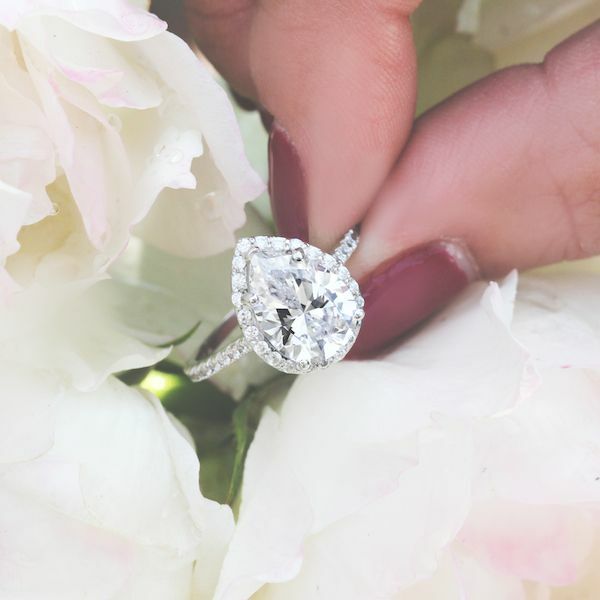 The Heroine features a halo of natural recycled diamonds around a striking pear shaped diamond, adding extra sparkle and creating a show-stopping look! You can’t go wrong with a timeless look! 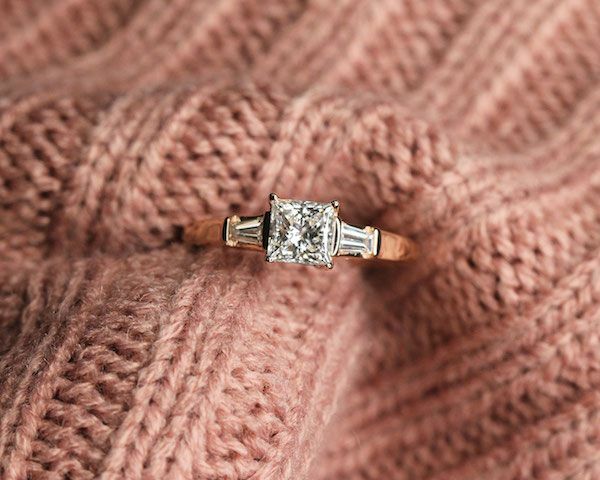 The Traditional’s simple band and classic style prong head lets the stunning lab-created center stone steal the show. And since MiaDonna gives at least 5% of every purchase to The Greener Diamond, you can rest assured that your engagement ring choice is an ethical one. Plus we love that they're online-based so you can shop from the comfort of your home or stop by their Portland, Oregon showroom if you’re nearby. To learn more about MiaDonna’s work to better the diamond industry, and to shop their selection of conflict-free jewelry, please visit the company’s website or get in touch with a representative at help@miadonna.com. To shop MiaDonna, head to MiaDonna's Website. Their rings are available for purchase online. Follow MiaDonna on Facebook, Instagram, Pinterest and Twitter for conflict free diamond rings and more! This post was sponsored by MiaDonna. However, all opinions are our very own. No Comment to " Ethical Engagement Rings for Every Bride "